Türkü is Turkish music coming from a folk tradition, rather than Turkish art music, which developed during the Ottoman rule. This music is coming from a club, as heard on the street. 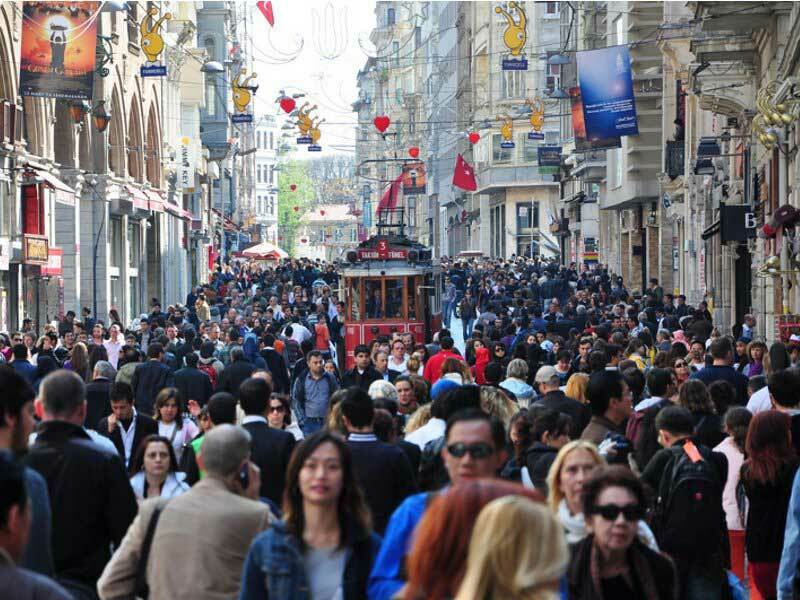 Yes, the club is in the Istiklal Avenue area. Yes, the instrument is a bağlama.